NORFOLK, NE — After much anticipation Norfolk’s first all inclusive park is now open. 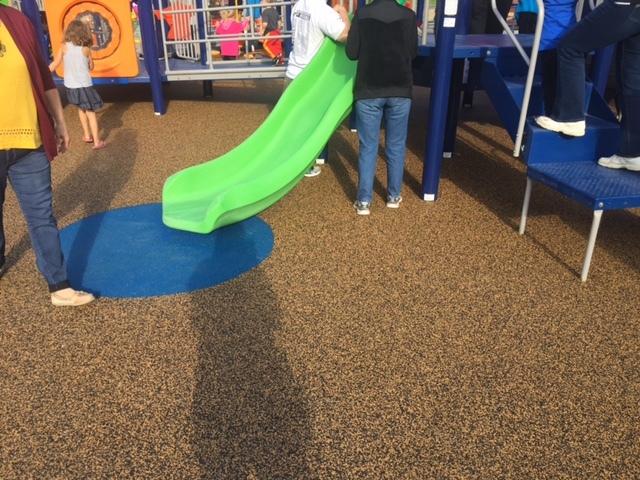 On Sunday evening Embrace Park filled up with parents and kids of all ages and abilities for a ribbon cutting. Kids gathered around at the entrance of the playground as they cut the ribbon before storming onto the playground. For Pediatric Physical Therapist at Faith Regional, Emily Afrank, years of hard work to bring the playground to Norfolk paid off. One of those kids is Jodi Bush’s son, Cason. The five-year-old seems to always wear a smile and his mom says like most kids his age, he loves to play. With Embrace Park kids like Cason can move around and play unrestricted. Bush says she is so grateful for the work Emily has done to make this playground happen, as well as the joy she has brought to the kids. Copyright 2017 Ecoturf Surfacing. All rights reserved.